Why Are There Different Forms of CBD? If you are new to the world of medical marijuana, CBD cannabis oil, or marijuana oil, you may not realize that there are all different kinds of CBD. However, it’s true — CBD comes in a wide variety of forms. Once you realize just how many forms of CBD are out there, you may feel very confused about which form is right for you. How do you know what to buy? Which form of CBD is the best fit for your situation? Do you need to have a couple of different forms of CBD on hand, or are you all set with just one that works for you? All of these are great questions when it comes to medical marijuana, CBD cannabis oil, or marijuana oil. The more you learn, the better you will understand the world of cannabis and CBD. In this article, we’ll review a few of the most popular forms of CBD. We’ll go over some of the pros and cons of each so that you can make an educated and informed decision. Which CBD form is right for you? In this article, we hope to help you arrive at a decision that works for you! 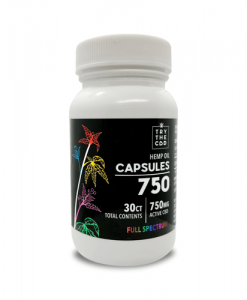 What are CBD capsules? Well, CBD capsules are some of the most popular ways to take CBD. They are CBD contained in a small pill form. You can swallow this CBD just like you’d take a pill. They are typically kept in bottles just like any other capsule or pill, and the soft coating makes them easy to go down. Why do people choose to take CBD capsules? The short answer for most people is that CBD capsules are incredibly convenient. They involve no mess, no hassle, and no prep work at all. Instead, you simply pop a capsule into your mouth and swallow it with water. Some people take a CBD capsule or two every day, while some only use CBD capsules when they feel the need — for example, when they are in pain. Marijuana oil pills usually come in a soft gel capsule form. They are golden in color and contain pure cannabinoids from the hemp plant. 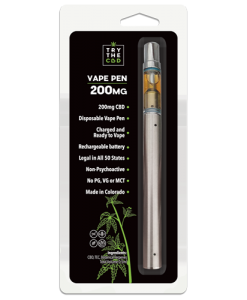 You can take more or less as you see fit, but each capsule contains a specified amount of CBD that is not easy to modify. Another perk of taking CBD capsules is the fact that each capsule contains a very specific amount of CBD. There is no risk of taking too much or too little CBD. All the thinking and planning is already packed into one little capsule! What can CBD capsules do for you? They may be able to help lower your levels of stress, anxiety, nausea, pain, and more. Are there any cons of taking CBD capsules? They offer so many great benefits and easy use — so what could be the problem? Well, one thing that some consider a con of CBD capsules is the fact that it offers a low amount of bioavailability. What does this mean, exactly? When a substance has a low level of bioavailability, that means that not all of it is available for your body to use. For example, when you vape CBD oil, the CBD molecules enter straight into your lungs. Your lungs deliver it to your bloodstream straight away. Your body does not break it down or filter through it first. Instead, your body gets to use it in its full and most potent form. However, when you consume CBD by ingesting it — such as by swallowing a CBD capsule — it must first pass through your digestive system. When it hits your liver and other parts of your filtration systems, it loses some of its potency and power along the way. Also, the CBD does not hit your system quite as quickly. So, when you consume a CBD capsule, don’t expect to feel the effects right away. It may take a couple of hours, and the sensation may not be as strong as you would feel if you instead chose to vape CBD. 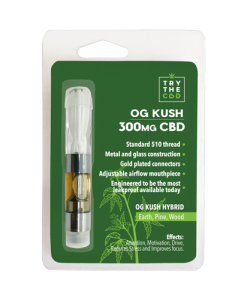 Buy CBD Capsules at TryTheCBD.com shop! Wondering how to buy CBD capsules for yourself? Purchasing CBD capsules in large quantities helps to cut the cost and make it as effective and affordable as it can be. 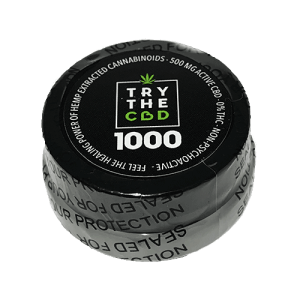 Our collection of CBD capsules is sure to offer a good option for your particular situation. Plus, we offer top quality products. We send them off to an independent lab for testing to ensure that you are getting what you pay for. Also, our CBD capsules are gluten-free and vegan. They contain only plant-based ingredients. We use a carbon dioxide extraction method for our hemp CBD oil. Our capsules contain no magnesium stearate or silicon dioxide. Plus, our CBD comes from farms in Colorado. On our website, you’ll find some of the best CBD capsules money can buy. If you think CBD in capsule form is right for you, shop away! Either way, they’re a great form of CBD to have on hand, especially if you need to make sure they are convenient and easy to transport. CBD oils and tinctures are made with organic medium chain triglycerides (or MCTs) coconut oils. This forms an amazing combination of two of Mother Nature’s most beneficial superfoods. Using high-quality ingredients helps to ensure accuracy, experience, and safety. One of the great pros of marijuana oil can also be one of its cons. We’ll get into that below, in the next sub section. CBD oils and tinctures are very versatile. 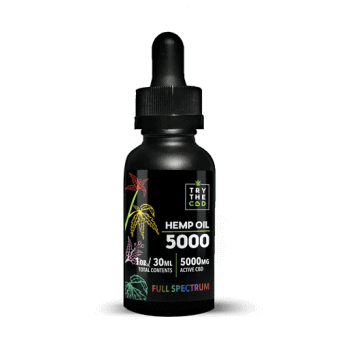 There is a certain amount of CBD in the whole bottle, but each drop distributes it on its own. In other words, the freedom to take as much or as little CBD as you want is in your own hands. Usually, there is a very high or strong amount in a bottle, so of course you should never take it all at once! CBD oils can have very high or very low concentrations. Because of this, you may need less or more of the oil or tincture in the bottle itself. This can help you find your comfort zone with CBD in a very effective way. You can start with a very low amount and increase to a very specific amount as you go. 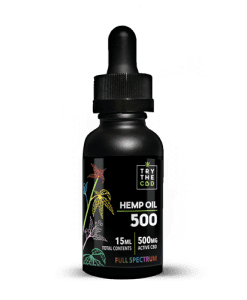 Because CBD oil contains an amount of CBD that is spread evenly throughout the whole bottle of oil, you can very easily provide yourself with the exact dose that you want. In other words, it’s very easy to adjust your dosage level with CBD oils. Some might say it’s too easy. Having CBD in the form of oil leaves a bit of room for human error. If you’re the one in charge of measuring out the proper amount of CBD oil for you, there’s a chance you could mess it up. Perhaps you use way too much or way too little oil. Either way, you will not have the ideal experience. What other forms of CBD like capsules offer is the fact that the responsibility is taken out of your hands? Instead, you simply pop one CBD capsule that contains a specific amount of CBD. With oils, however, the dosage is left up to you. That means you must be responsible for yourself and choose to start with a low dose and gradually work up from there. Also, at the end of the day, you are usually ingesting CBD when it is in oil or tincture form. You can vape CBD oil, sure, but many people go the sublingual route instead. This is oral, which means you ingest the oil just like you would ingest a capsule. 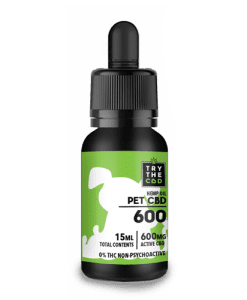 Medical marijuana Oil – Buy CBD Oils and Tinctures at TryTheCBD.com shop! Oils are a popular form of medical marijuana. Many patients around the world receive a prescription for a substance in oil format. In our CBD oil, there are no additives or artificial flavors. Don’t worry about us putting junk in your CBD — that’s not our style! However, what our CBD oils do contain is a healthy and nourishing amount of essential fatty acids that will help to promote heart health. Want even better news? The antioxidants in our CBD oils target free radicals that can cause premature aging and disease. Our CBD oils are non-toxic, nonaddictive, and nonpsychoactive. That’s because as long as you order a form of CBD that is THC free, you are getting just pure CBD with no psychoactive chemicals or compounds. However, on the other hand, a full spectrum of CBD oil may contain a small amount of THC. Looking into CBD to take care of your muscle aches and pain? Rubs and creams can be a great option for you! Sure, you don’t eat, vape, smoke, or ingest it, but you apply it topically to your skin, and it enters its molecules that way instead. Buy CBD Balms, CBD Muscle Rubs, and Creams at TryTheCBD.com shop! 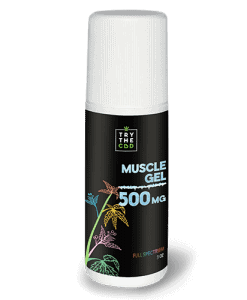 One of the biggest reasons that people love CBD muscle rubs so much is that it provides great relief to the affected area. Maybe that’s because you’re massaging the sore muscle or joint, sure. CBD massage oil does necessarily involve a massage as the application method. However, as the CBD soaks in and works its magic on the exact area where you put it, you just might find that it does something great to your sore area. Using a roll-on bottle can help your sore muscles and joints to feel much better. They also help to moisturize your skin and the surrounding area as well. We even sell a CBD lip balm! It contains meadowfoam seed, evening primrose, rosehip oils, cocoa, avocado, organic shea butter, aloe vera oil, and beeswax. It helps to soothe, protect, and regenerate by providing CBD oil directly to your lips. As you might imagine, using a CBD oil by massaging it into your skin is messy. You have to get the oil on your hands, and while we do have a light weight and nongreasy formulation, there is still going to be some oil on your hands when you’re done. If you’re in a rush, on the go, or don’t want to make a mess, CBD rubs and creams are not a great option for you. Sure, they feel great on your body and skin, but they are not the quickest or efficient way to get your daily dose of CBD. We recommend having a CBD cream or rub on hand if you every suffers from body soreness. You can take other forms of CBD as well, but being able to rub CBD into your skin when you are sore can be a great source of pain relief. 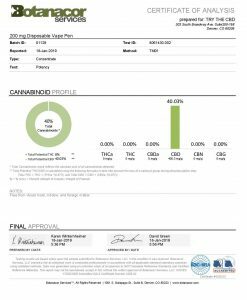 Buy CBD Isolate and Shatter at TryTheCBD.com shop! CBD isolate and shatter the purest form of CBD you can get. It is the cannabinoid CBD isolated all by its lonesome. There is nothing else — or as close as possible to nothing else — in this form of CBD. CBD isolate and shatter extremely versatile! You can do so much with it. You can even add this form of CBD to your food in a very subtle way! You will barely taste it, if at all. You can mix it into smoothies or salad dressings, and you can put it right into your food if you choose to make CBD edibles. 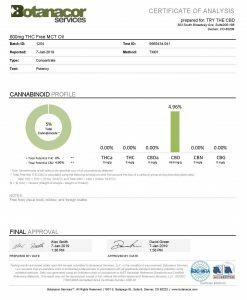 CBD isolate and shatter a bit limited. You can’t vape it or rub it into your skin. Also, some people find that they would prefer to have a full spectrum option. This means they want a little THC in their CBD as well. A CBD isolate will not offer this to you. This entry was posted in Featured Story, Hot Offers and tagged best cbd products, cbd effects, where to buy cbd.